One of the world’s most recognisable blended Scotch whisky ranges is truly the result of a family effort spread across the generations. Over the last century or so The Famous Grouse has developed into one of the world’s leading Scotch whiskies and in recent years has been flanked by complementary expressions to form a range of its own. The Famous Grouse range also features Smoky Black, which incorporates peated whiskies from Islay and also Glenturret distillery into the blend, as well as a heavily-peated expression, Black Grouse Alpha Edition, which features a higher content of aged malts. The Naked Grouse was introduced as a premium offering in the range, containing whiskies matured in first-fill Sherry casks for a richer, fruiter flavour. The Famous Grouse Mellow Gold, designed to impart a ‘smoother’ and sweeter palate, is the newest addition to the range. While many sources claim the Famous Grouse story began in 1800, the story of Matthew Gloag & Sons didn’t start with the Gloags at all. Rather, it began with the Browns. John Brown established his Perth grocery business in 1800 before moving the premises to Atholl Street seven years later. It was his daughter, Margaret, who married Matthew Gloag. She took over the family business from her father in 1824 and ran it until Matthew took control a little over a decade later. It was in fact Margaret who acquired a license to sell wine and spirits (and snuff) in 1831; Matthew didn’t join the business until 1835 when the name was changed to Matthew Gloag. Margaret died just five years later. Business in Atholl Street was good; Gloag had a wide knowledge of wines and spirits after managing the cellar of the Sheriff Clerk of Perthshire for more than 30 years. By the time Queen Victoria and Prince Albert visited Scotland for the first time in 1842 as guests of the Earl of Mansfield, he was given the honour of supplying food and wine to the Earl’s home at Scone Palace near Perth. After the Queen and Prince’s visit, enthusiasm south of the border soon spread for all things Scottish; a market trend that he was keen to exploit. By the time Matthew Gloag died in 1860, the family business portfolio focused mostly on wines and his son, William Gloag, largely continued this trend. It wasn’t until Matthew Gloag III inherited the business from William in 1896 that the company registered its first blended Scotch, the Brig o’ Perth. A year later, The Famous Grouse was released at the same time as The Grouse Brand. Originally, The Famous Grouse was priced lower than the Grouse Brand. In a little over 10 years, the reverse would be true thanks to the popularity of The Famous Grouse. As if to emphasise the family connection, it was Matthew III’s daughter, Phillippa, who drew the very first, and now famous, red grouse that we see on the bottle. When US Prohibition came into force in January 1920, the Scotch world was dismayed. Economic depression, coupled with high taxation, had forced a high reliance on export markets. However, as was the case with a handful of other blenders, the company’s distribution to markets close to the United States such as Canada, Latin America and the West Indies suddenly shot up. If some shipments made their way into the States, then so be it. By the 1960s, business had grown to such an extent that exports to America alone had risen to 12 million proof gallons. By 1968 it had risen to 33m. The future was looking rosy for Matthew Gloag & Sons, but just two years later tragedy struck. Both Matthew Frederick Gloag – Matthew Gloag III’s grandson and a major shareholder in the company – and his wife, Edith, passed away within two days of each other. In the same year Estate Duty was running at 30% on all properties worth over £10,000. These costs, coupled with the death duties due on both his parents, forced Matthew Irving Gloag and his partners to seek a buyer for the company. 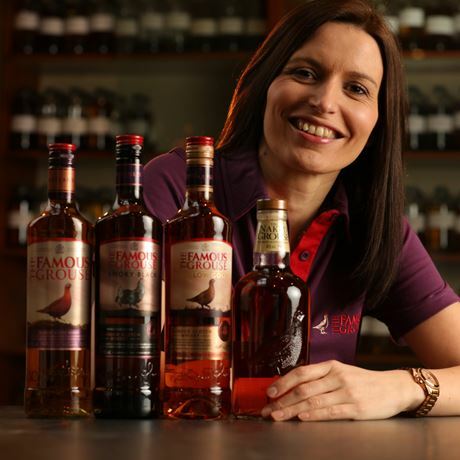 Just months later Highland Distillers bought the company for £1.25m, although Matthew Irving Gloag remained as a director to continue the family’s involvement. Highland Distillers’ ownership lasted until November 1999 when The Edrington Group purchased it for £601m. 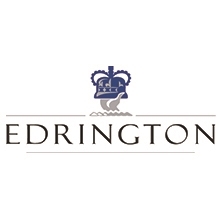 Edrington remains the owner of The Famous Grouse and the Glenturret distillery; which is now home to the visitor attraction, The Famous Grouse Experience. Since Edrington’s takeover, the process of premiumisation has been on-going at The Famous Grouse. In 2006, the peated Black Grouse was released, followed two years later by Snow Grouse, a blended grain whisky. By 2010, The Naked Grouse was introduced as a premium offering. In July 2015, while still retaining the traditional Famous Grouse bottling, the company rebranded The Black Grouse as The Famous Grouse Smoky Black, and introduced The Famous Grouse Mellow Gold to create the brand’s first core range. At the same time a distinctly purple-hued redesign of The Famous Grouse’s packaging was implemented in a bid to premiumise the brand. 1905 The Famous Grouse brand is officially registered to Matthew Gloag and Sons Ltd. The home of Dewar's World of Whisky. One of Scotland’s greenest distilleries.